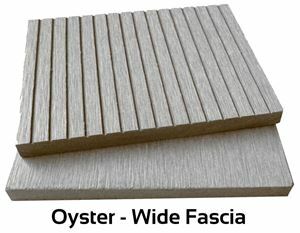 The 4 Everdeck Oyster wide fascia boards come in a light beige colour, this wood plastic fascia board is similar to a light driftwood colour and can be used for a number of different applications including house gates & deck cladding. Double Sided profile, one side smooth the other side grooved. 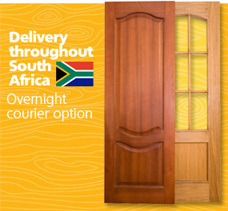 Available in Chocolate Brown, Charcoal Grey or Charcoal Grey.